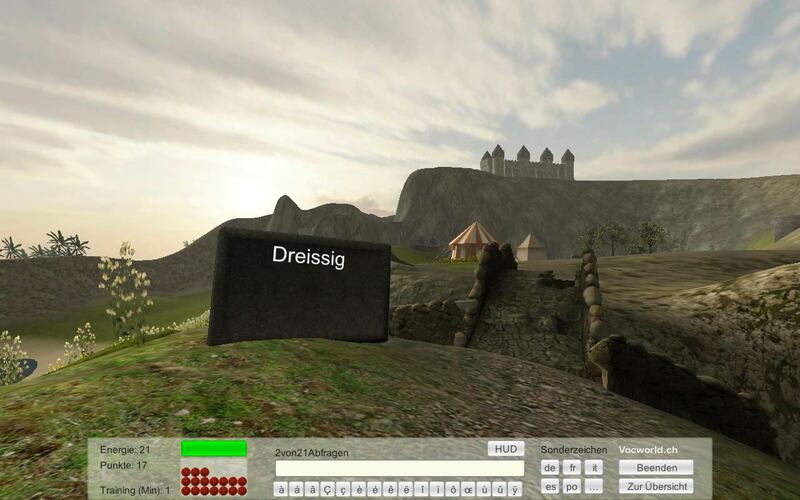 Vocworld is the leading 3D vocabulary trainer. It's excitement, fun and learning in one . 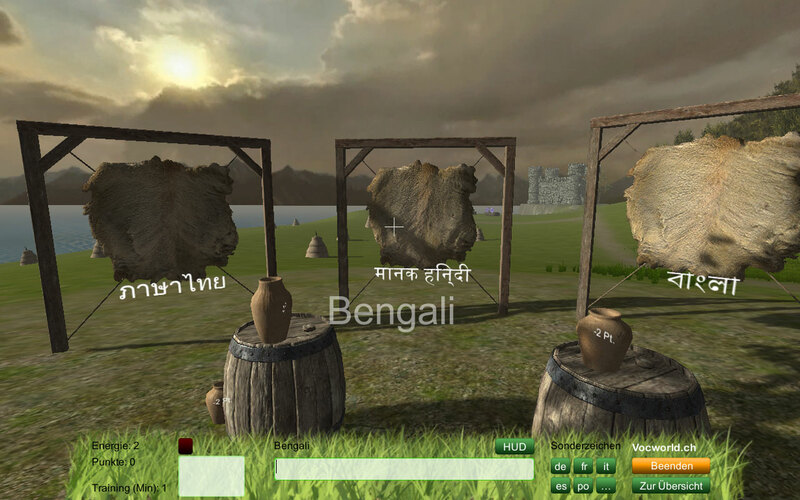 Collect points while learning the vocabulary and colonize the legendary island Amarbahri. Export your vocabulary lists from your word processing application and import the file into Vocworld. Share your lists with other users of Vocworld or Vocworld Space for iPhone, iPad, iPod or Android. As an extension, you can complete your list with speaker - data. Move around on the island an train your expressions by throwing coconuts at them. But be aware of the racoons! Try it out and have fun with it. The 850 most important words German - English, with english audio. Search term: "Basic" + or "850"
For other languages download the lessons and replace the german words.